Famously known as the twin sisters, both the cities are on the bank of river Yamuna sitting calmly with the memories of Lord Krishna’s birth in its lap. It is said that lord Krishna took birth in Mathura and resided, played and made everyone fall in love with his enormous charm in both the cities. It is one of the most famous tourist destination of people belonging to Hindu culture and even men and women from abroad, they stop by while travelling from Delhi to Agra to know more about the great Lord Krishna who lived here and had the power to make everyone fall for his charming aura and mesmerising tunes of the flute. Loaded with temples, gardens, spiritual performances this place in the north of the nation will definitely make your Goosebumps rise with the very believe of the people praying to the almighty in different forms be it prayers, spiritual songs or dances. Mathura other than being the birthplace of lord Krishna is the city, which has its name coming from the great epic Ramayana as per the archaeological survey of India at this time a demon named Lavasura claimed the land won over it and announced the name of the city as Madhuvan, which was later changed to Mathura. The MauryaEmpire ruled the city from2nd to 6th century BC. The city lost its importance and then came in limelight when Sikander Lodi plundered the temples of the city to make it a part of his empire. After which came the rulers of Mughal dynasty who looked after the city to make it look like what it is today. The Krishna janambhoomi temple is said to not be the exact location of the birth of lord Krishna, it is a few meters away, from the temple near the Jami masjid structured by the Mughal ruler Aurangzeb. An ancient history of the city of Vrindavan, which makes the city a place famous for its tourism and has a vast history to its present look. The Virdanvan was a place just famous for its play place of the great Lord Krishna and had lost its charm to just be a small city in Uttar Pradesh until in the 16th century ChintanyaMahaprabhu who had a target to relocate all the Krishna temples in the country. He rediscovered Vrindavan and its temples to look like a beautiful pilgrimage stop where the good lord spent his childhood. Mira Bai who was the devotee of the lord left the kingdom of Mewar and came to this city, and spend almost 12 years praying to the almighty, as she believed that she was in deep love with the God. The temple where she used to pray and live is now a famous tourist spot in the city. Vrindavan was an amazing place with a dense forest views with peacocks, cows, monkeys living peacefully in the area but in early 250 years it is been commercialised with monuments and residential places urbanising the city. Twin cities, which are just an hour’s drive from both Agra and Delhi, are a popular tourist spot for guests from foreign region or from Indian region. It is a land which has a number of temples rooted in its soil thus making it a holy place where the lord took birth and showed his naughty side of childhood to the world. 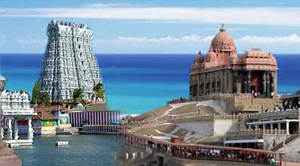 Rich in spiritual values this city attracts a number of tourists who are interested in knowing about Hindu culture and understanding the deep history of our prestigious lords. Airport of Agra is the nearest airport to Mathura and Vrindavan. However, very few travellers directly fly here in Agra so the nearest International airport of Mathura considerably is Indira Gandhi International Airport, New Delhi. Visitors can easily board a flight from most of the Indian and international cities till Delhi and rent a car or cab to reach Mathura/ Vrindavan. A smooth network of roadways connect from Mathura to various other cities of India like New Delhi, Agra, Moradabad, Jaipur, Bikaner, Kolkata along with some of the small towns of Uttar Pradesh and nearby states. State government buses as well as private service providers serve towards Mathura. 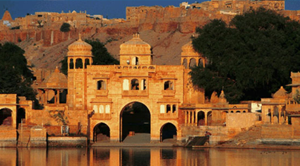 Travelers can board direct buses to Mathura / Vrindavanfrom towns like Delhi, Agra, Alwar, Aligarh, Indore, Udaipur, Ajmer, Chandigarh, Bhopal, Gwalior, Jabalpur, Jaipur Lucknow, Kanpur, Meerut, Haridwarand many more. You can easily sit in a comfortable car and reach out to this pilgrimage spot, where Lord Krishna took birth. Mathura Railways are present in the city and is connected by various north Indian cities. However, major cities like Kolkata, Delhi, Mumbai, Indore, Agra, Bhopal, Gwalior, Varanasi, and Lucknowhave direct trains to Mathura. One can easily get their tickets done and enjoy the train journey towards Mathura Vrindavan. Tt can be visited in all the months but still the best time would be March to October when the temperature in the cities is moderate, neither too hot nor too cold. 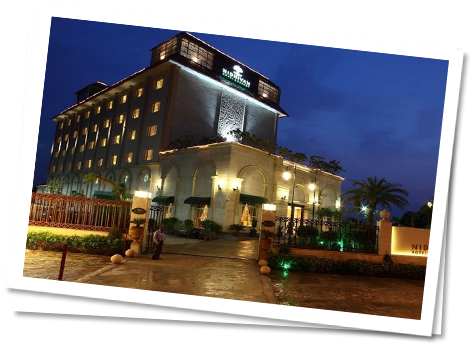 Mostly people plan a day tour to both the cities and head back to delhi or Agra for a night stay but there are a few hotels which could be made a temporary home if you wish to spend a few days in the holy town in the spiritual feeling created in the aura. 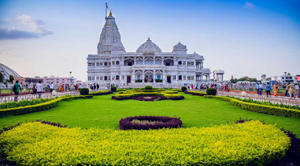 Krishna balrammandir is a temple in Mathura and is a mesmerizingly beautiful temple made in white marble in the year 1975 the initiative of ISKCON temples. This holy place in Mathura has portraits of deities like, lord Krishna and his loved brother Balram another is Radha-Krishna, Gopi-Lalita and vishakha. This amazing temple is an attraction visited by all the tourists coming to the city to worship the god. Opening time of temple is 4:30 in the morning and the prayers continue till about 9 in the night. This temple in Mathura is constructed on the place where the great Lord Krishna took birth in the jail as his parents was imprisoned by his uncle as he thought that the new born baby would kill him according to an intuition made by someone. This place is a holy temple visited by all the Hindu pilgrims to feel the bliss of spiritual values in them. This is a temple also loved by foreign guests as they come to know a lot about Hindu culture through this place. In the morning, it is open from 5:30 to 12 in the noon and in the evening; it opens its gates by 4’o clock and closes by 8 in the late evening. One of the most famous temples in the city is this amazing and auspicious temple named Banke Bihari temple, which is what lord Krishna was known as. This name means the supreme enjoyer that is what the good lord loved to do. He was an amazing artist who knew how to play flute and make people love him for this quality. This temple is made to worship Thakur ji and the statue of him is playing flute with folded legs making people know about how his young age had been. The amazing design of the temple and its door is a truest example of Hindu designing and cultural living standards of olden times. The temples opens in the morning at 8’ o clock and closes in the night at 11’o clock. Dwarkadhish is the name dedicated to lord Krishna. 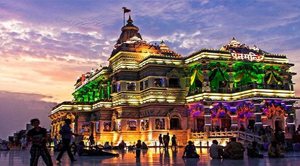 This temple is named so because Lord Krishna planned to shift to Dwarkauntil his last breath; in the memory of their deity, this temple was created in Mathura. This is at the end of a busy road where people make ques to visit the shrines of Radha and Krishna inside the temple. 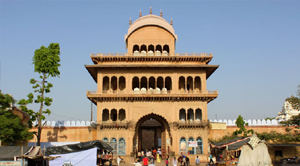 During the festive season of Janamashtmi one should try visiting this place to witness the immense festivities in the town. The temple opens at 6 in the morning to 11: 30 in the night. This is a beautiful temple made in white marble and as the name suggests,Prem meaning love, the temple of love has main shrines of Radha- Krishna and Sita- Ram showing their immense love for each other. You can spend a day in this wide spread holy land of about 54 acres and feel the spiritual bliss in the land of the twin cities. In the morning, the temples upon its door by 5:30 and in the evening it closes by 11:30. This place is near Mathura and Vrindavan and is a beautiful monument on the side of a river on the govardhan hill in between the theRadhakund and Govardhan. It is a beautiful sandstone monument, which attracts a number of tourists to look at the amazing structure beholding royal and classy looks. 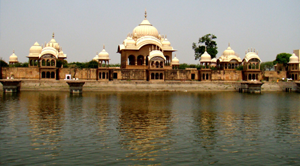 It is one stop that, no one would want to miss on a trip to Mathura and Vrindavan.